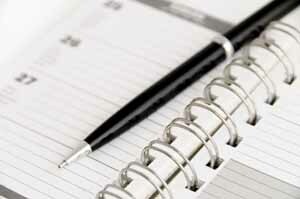 Routine appointments can be booked with any member of the clinical team. You can see any doctor or nurse at the surgery but for ongoing problems we would encourage you to try and see the doctor who has previously looked after you for that problem - it makes it easier for the doctors to look after you efficiently and you won't need to explain everything again from the beginning. All of the doctors do sessions at both surgeries and patients can book appointments at the surgery of their preference. Nurses appointments are available at both surgeries Monday to Friday. If you want to book an appointment at a particular time, or if you want a choice of doctor or nurse you can book ahead. If you have a problem which you feel needs dealing with on the same day then please tell the receptionists - if appointments are available they will try and find a suitable appointment for you. They may sometimes ask you to explain briefly what the problem is - this is not because they are being nosy, it is so that they can find the most suitable appointment with the most suitable person! You do not have to tell the receptionist what the problem is if you would rather not. We try our best to provide urgent appointments but it can be very difficult sometimes. We are grateful to patients for not abusing urgent appointments. If you would like to speak to the doctor or nurse by phone then please ask the receptionist for a telephone consultation appointment. If you need to cancel your appointment then please let us know. You can do this by leaving a message on our dedicated phone line 01745 333640 or via our website. We ask that you let us know as missed appointments are wasted appointments ! We will happily provide home visits where they are clinically justified, for example to house-bound patients and the terminally ill. If you wish to request a home visit please contact the surgery as soon as possible so that the doctor may plan his visits. Please try to get to the surgery if at all possible - the doctor can see 4 or 5 patients in the time it takes to do one home visit. We are unable to do home visits simply for patient convenience - there must be a genuine health reason. Except in exceptional circumstances we will always ask for small children to be brought to the surgery, where we believe we can offer the best care - we are able to undertake a more thorough assessment with surgery facilities and we can usually see young children more quickly by squeezing them between existing appointments. Clarence Medical Centre is a purpose-built surgery, with consulting rooms spread over two floors. All consulting rooms are accessible by wheelchairs due to the availability of a patient lift as well as the public staircase. Access to the main entrance is possible by ramps from West Kinmel Street and from the surgery car park, which also has dedicated disabled parking bays. 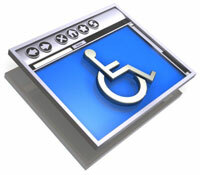 Ty Elan Surgery is all on the ground floor and is entirely wheelchair accessible. In addition there are greater parking facilities with disabled bays, immediately in front of the surgery and adjacent pharmacy. Hearing loops are also in place. If your request is for an emergency then dial 999. 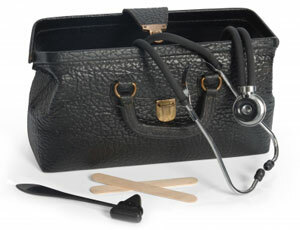 Your doctor feels that you need transport due to your medical condition. The ambulance service requires at least 2 full working days notice to arrange transport. If you are eligible please phone the Welsh Ambulance Service Non-Emergency Transport Centre booking line on 0845 6076181, giving enough notice, and they will make the necessary arrangements. They are open Monday to Thursday 9am-5pm, Fridays 9am-4pm, excluding Bank Holidays. If you have an appointment booked please use the self arrival screen located in the reception waiting area. The person that you are seeing will know that you have arrived. For any other business our reception team will be able to help. At busy times you may have to wait in a queue to speak to a receptionist. We thank you for your patience at these times.